How To Start Online SWP In UTI Mutual Fund? 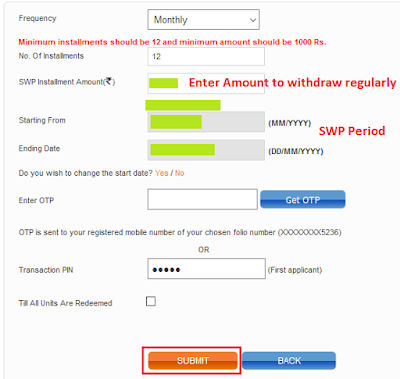 Finance Guru Speaks: This article will provide information on how register for Systematic Withdrawal Plan (SWP) online in UTI Mutual Fund. SWP is a process through which you can redeem mutual funds units or amount on periodic basis. Example, you can withdraw INR 1000 per month from a Mutual fund and the amount will directly credit to your registered bank account. SWP is ideal for Senior Citizens or Investors those who seek regular income from their investments. In this article, we have taken UTI MID CAP fund to register the SWP. However, you may select any other Mutual fund scheme, steps will remain the same for this fund house. 1. Open UTI Mutual Fund website. 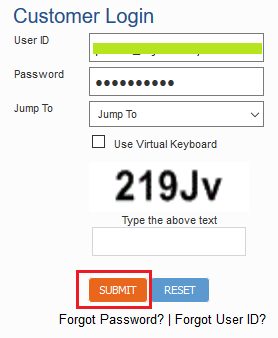 Provide your Username and Password and click on SUBMIT button. 4. In the Next Screen, click Continue button.